Kevin Durant always looks relaxed—until he attacks. His game is reserved yet explosive, difficult to guard and impossible to stop. 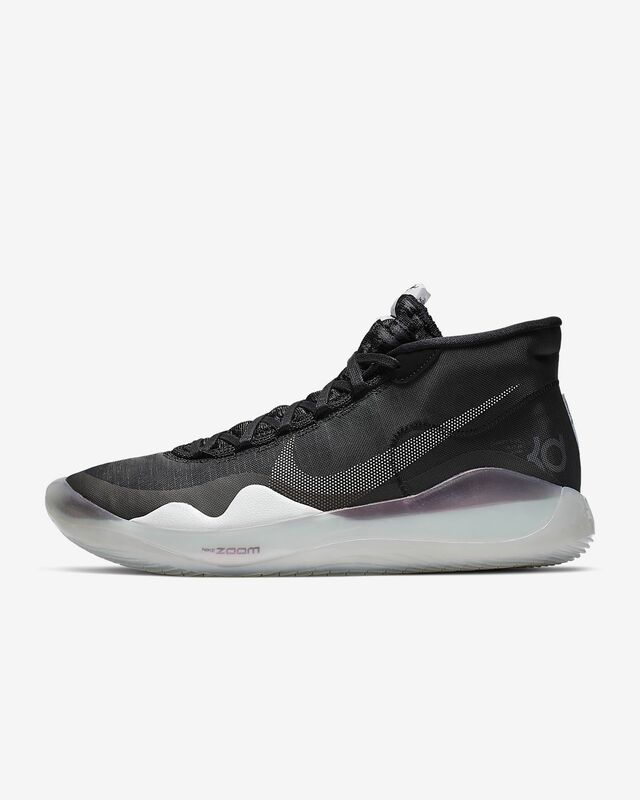 The KD12 was built for his dominance and endless energy all game long with the latest innovation in Nike Zoom Air technology. Full-length Nike Zoom Air cushioning is articulated to follow the shape of your foot, providing a great heel-to-toe transition. For the first time ever in a signature shoe, it’s stitched directly to the upper instead of being set into foam, so it responds to your force. An additional Zoom Air unit stacked in the heel gives you extra bounce on court. 4-way directional Flywire cables provide targeted stability and on-the-fly lockdown. They relax when you’re not in motion, but when you need them to perform they deliver. Lightweight, multilayer mesh uses minimal backing material for less stiffness and a broken-in feel. A perforated midsole helps keep the foam very flexible while helping to reduce overall weight and giving visibility to the cushioning within. A sockliner insert sits over the Nike Zoom Air cushioning, adding a thin layer to help smooth the feel without compromising the performance. A Flyknit constructed tongue covers your top foot in comfort, adding loft for a plush, padded feel. Perforated padding around the 3/4-high collar hugs your ankle for a snug fit. A rubber outsole offers excellent traction. A textile and synthetic upper hugs your foot. Have your say. 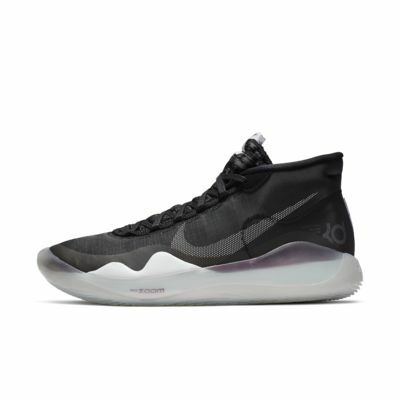 Be the first to review the Nike Zoom KD12.